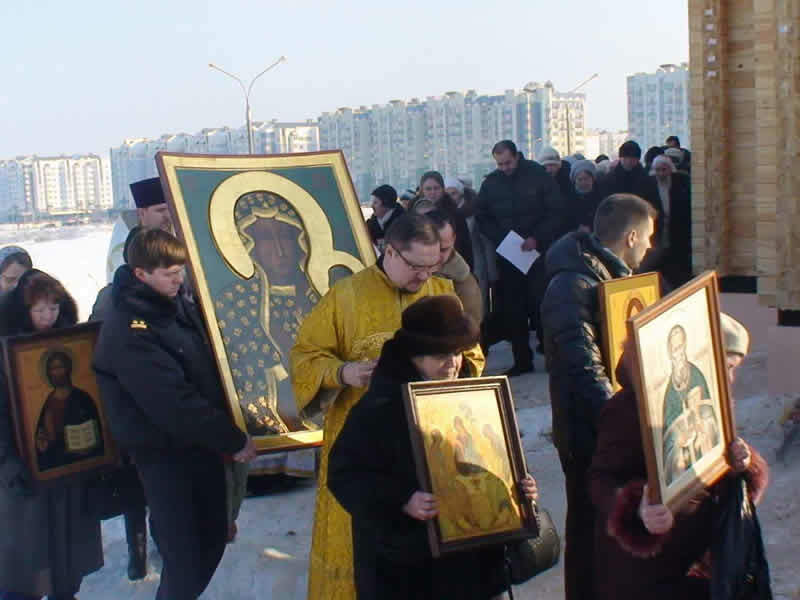 In her peregrination in the defense of life, the Czestochowa icon came to Minsk in Belarus. Currently she is in the Orthodox Church of St. Nicholas of Japan. Why was this parish was granted the privilege of hosting the Mother of God in the peregrination icon? Her pastor, Father Paul Serdiuk, is very involved in the defense of life. He is a member of the International Committee of Czestochowa Icon pilgrimage "from ocean to ocean." After the ceremony of touching a copy of the Czestochowa icon to the original and blessing the copy, the icon of Our Lady begins to create her own history. On Monday morning, January 30, 2012 the Icon of Our Lady of Czestochowa, began the journey from Jasna Gora to Moscow, to the east through Minsk, Belarus. Leaders of pro-life movements of 16 European and Asian countries: Ukraine, Belarus, Lithuania, Latvia, Russia, Kazakhstan, Czech Republic, Slovakia, Hungary, Austria, Switzerland, Spain, Italy, Poland Portugal, UK, and U.S., met on Saturday January 28 at Jasna Gora. The protection of the civilization of life and love in the world was entrusted into the loving hands of the Most Blessed Virgin Mary. O Blessed Virgin Mary, Chaste Mother of God, Immaculate Virgin. Into your hands we entrust the great cause of protecting the civilization of life and love. We live in a difficult time of a massive global attack by the civilization of death. Very many innocent people are perishing - unborn children, the aged and the sick.